Trade Shows are available for virtually every type of business and niche. They continue to be a way to connect with vendors, customers, experts and potential partners to drive more sales into your business. 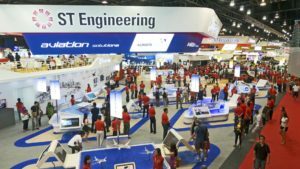 Just like having a strategic marketing strategy it is just as important to have a strategic plan of action for a tradeshow. The value you gain from having a plan in place to attend a trade show could pay dividends for years to come. Attending a trade show is much more than purchasing your exhibit hall pass, making a hotel and plane reservation. That’s the easy part, and if you attended trade shows in the past, you already know this. If you are a first-time attendee or a seasoned trade show alumni following the tips and strategies below you will have a positive ROI. 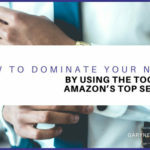 This post will focus on what strategies you should have in place if you are a seller on Amazon. One of the largest Amazon Trade shows is right around the corner in none other than Las Vegas Nevada. The Prosper Show will take place in March of 2017, and we will use this as a template to prepare you for this show. You can apply what you learn for other trade shows that you plan to attend. Knowing why you are going will assist in helping you focus on what you need to do while you are there. Without a why you will just wander aimlessly through the convention floor and you will go with whatever grabs your attention at the time. By being prepared, you will avoid confusion and frustration. By having a plan in place, you will avoid wasted time and distractions. Below are some questions that will help you get into the right mindset and assist you with your why and what you want to accomplish at the show. Looking for tools that can help optimize your business? Is it your goal to learn more about the industry? 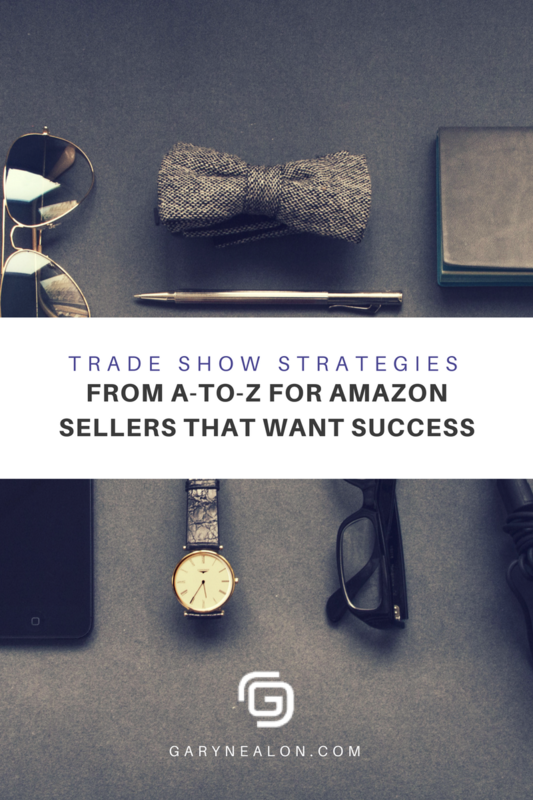 Do you want to learn what other successful Amazon sellers are doing to make their business thrive? 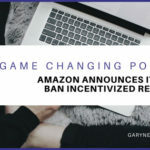 Would you like to learn about Amazon sponsored products? What software is available that will make me more efficient? What can I learn about the business side of things? Once you know your objectives and goals, write down a list of questions that you would ask potential suppliers or vendors. Currently, on The Prosper Show website, there is no list of exhibitors, only sponsors. Most trade shows will provide you with a list of exhibitors beforehand. It is possible that the Prosper Show will release a list or once you register provide you with one. In the interim, you can research the companies that the speakers represent and see if these enterprises would benefit you. Do some research on the companies that are sponsoring the event. If you do a quick Google search, “The Prosper Show” you will come across some companies that will be at the show. Our search found a few articles that mentioned some companies that attended last year and may be back again this year. If you find an exhibitor that provides a product or service you want, take the time to contact them beforehand and see if they would be willing to set an appointment to meet with you at some point during the show. The exhibitors you will focus in on will be determined by what your goals are. Are you prepared to make a financial commitment to a product or service at the show? 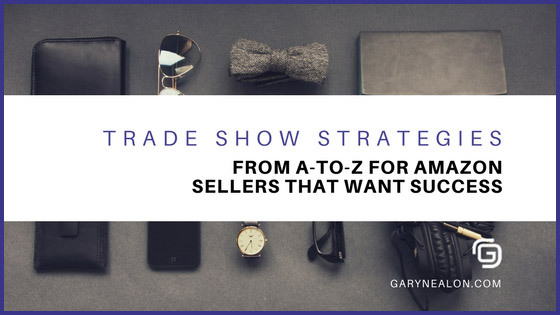 If there is something that you are looking to purchase, check the price now, determine if you need it right away and then see what sort of promotion is being made available at the show. To attend the show you will need to spend $699 per attendee. At the time of this post that is the price, plan on an additional $100 per attendee if you register after January 1st. If you want an additional day to learn and network, the hosts of the show are offering pre-convention learning sessions that may be beneficial to you. The host hotel for the convention costs $77 per night plus a $15 a day resort fee. You ever wonder why hotels tell you the room price and then tell you later there are additional fees? It is best if you stay there or to another hotel that is close to the event site. This way you are in the hub of all the action and don’t need to worry about getting to and from your hotel at the beginning and end of the day. 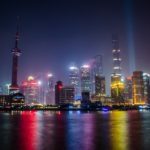 Hotel costs + room fees, wifi charges, etc. Transportation costs – airline, rental car, taxi or Uber or Lyft, shuttle. Parking costs – if you drive or get a rental car. Meals – breakfast, lunch, dinner, snacks. Alcohol – for the mixers and after hours events. Products or services you are interested in purchasing. Unknown – When you come across the perfect product you did not see before the convention that would be ideal for your business. Wages to pay someone to handle tasks you are unable to when you are gone if you don’t have an employee(s) to delegate these tasks. Determine how you will arrive, if you are coming by plane, how do you intend to get to the hotel? Call the hotel in advance to see if they have a shuttle. 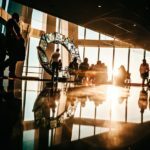 If you plan on using Uber or Lyft, be aware that they may charge additional airport fees. Before you commit to a pickup check to see that you are not traveling during a surge charge period unless you are willing to pay this extra cost. 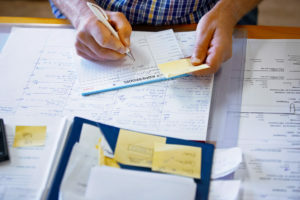 As you incur these charges make sure you are holding onto receipts or recording them. If you consult with a certified tax professional many of these expenses may be eligible for a tax write off for your business taxes in 2017. If you are on a budget and are looking to save a few bucks here and there, look for some eateries outside of the convention center and hotel that will help keep your food costs down. Last but not least pack for the show. We have included a list of items for the show in another section, but make sure to leave enough room in your suitcase to bring back items you get from the show. 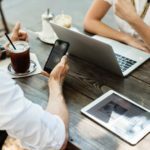 If you have not been actively speaking to people on a regular basis because you are locked into your laptop building your online empire, you will want to brush up on your communication skills. We might suggest you dust off your copy of, “How to Win Friends and Influence People” and take a quick peruse. There are countless books written on business communication skills. Let’s refresh on some of the basics. A large part of conventions is networking and making connections. Even though what is mentioned above seems obvious, we want to make sure you are fully prepared. Hint Hint….every vendor and exhibitor is looking for leads and customers, The moment you show an interest you become a lead. That is why you need to do your homework so you can be in control of the conversations. Since you have pre-determined, some of the booths you are going to you will have already done your homework. If you happen to be intrigued by a booth that was not on your list be prepared to answer these questions since they are probably typical icebreakers. (you can chuckle inside when you hear them because you heard them here first). Would you like one of our…? Many exhibitors offer enticing contests and free giveaways. What are you looking to get out of the show? Tell them you need to check your pre-show checklist in case you forgot or draw a blank. That may get a laugh. Have you heard of us before? Or, how did you hear about us? What is your biggest challenge as an Amazon Seller? All these icebreakers are Sales 101 and designed to engage you in a conversation to find a need. Don’t be rude but keep your boundaries up, there is a possibility that what they have could be beneficial to you. At the same time, you don’t want to be rushed into making a decision because they are having a trade show only promotion to entice you. It probably goes without saying, and it should be obvious, one or two weeks before the show make a list of things that you need to complete with your business or delegate to someone to take care of when you are at the show. Granted there are probably some tasks that you are the only one that complete. Make sure that you schedule time in your day to complete these tasks so you can do everything you can to eliminate “distractions” while you are at the show. You have probably been to a show where you see someone out in the lobby or foyer on the phone, flailing their arms frantically talking into the phone with a look of high stress in their voice and panicky facial expressions because something went haywire back home. Whatever the emergency, it might have been prevented had they prepared properly for the show. Before we get into the specific actions that will assist you in getting the most out of the show, let’s go over a checklist of things we are going to need while at the Convention Center. Review this before you leave and again before you leave your hotel room in the morning. Dress comfortably. With that said, dress in a way that exudes success and confidence. You want the impression that people read when they see you is “This person is successful.” Also, the temperature can fluctuate so have a light sweater or jacket handy in case the conference hall AC is set to freez’n! Shoes – It’s gotta be the shoes! Wear shoes that look sharp but will give you comfort and support. You may be on your feet the majority of the day. A functional briefcase or laptop carrying case that you can store brochures and other materials you gather while at the show. Notebook – Make sure to keep notes on conversations, exhibitors, and vendors, other attendees you meet, speakers you hear about, booth numbers, ideas that come to mind, etc. You are going to be inundated with so much information that if you don’t write down something immediately after it comes to mind or you experience it; you may forget it. Staple business cards next to your notes and put their booth number on the card, so you don’t misplace them or end with a stack at the end of the day and wonder who is who. Writing Instruments – Pencils or pen, whatever your preference. USB Chargers for your phone, laptop or mobile device. Smartphone – So that you can focus on the show leave it on silent as much as is possible. Take pictures of booths that you spend any significant amount of time at. During your post show recap, the picture will help you recall why you were there. Show calendar – in Your pre-show preparation, you created a calendar to make sure to schedule speakers you wanted to hear and other informative sessions along with mixers or dinners that take place after regular business hours. Laptop or mobile device – may not be necessary but bring it along if you use it to take notes at a meeting or during a learning session. Take note of a few time management tips that will benefit you while you are at the show. Even though you have already reviewed the map and layout of the show, arrive early on the first day to familiarize yourself with the surroundings. Enjoy the mixers and continue to make connections. Because you are on a mission when the mixer is over, as tempting as it may be to continue the evening with other attendees, politely excuse yourself and return to your room to address anything your business needs. In addition to that review your day and have a quick look at tomorrow’s schedule. If you are inclined to a few cocktails and kick’n it up a bit, save it for the last night after you have accomplished all your objectives. Or you could just save your celebration for when you hit your first $20k in revenue month or another milestone. Post Show is where the rubber meets the road. You just spent the last four days receiving more information than you thought you were capable of. 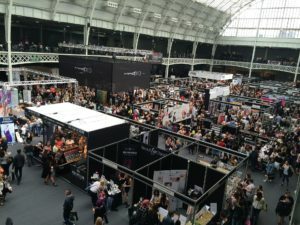 Fortunately, you prepared, and while you were there, you managed your time and executed a plan that maximized and optimized your time at the show. 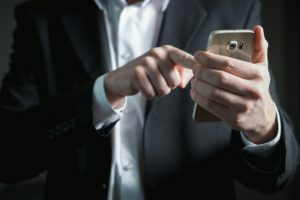 Now that you have arrived back home it is time to take all the information, the connections, and information or products purchased and implement them into your business. First, review your original plan, and the first thing on your list take the information or knowledge you gained at the convention and implement it right away. By implementing it right away, you will begin to maintain momentum. Don’t try to do everything at once, take them on one at a time. After you have implemented the one thing, take a moment to pat yourself on the back. Now go over the list of connections that you made and send them a quick email to thank them for taking the time to talk to you at the show. Include something specific that you talked to them about. Mention what you just did and how excited you are. In addition to that extend the invitation to stay in touch to exchange ideas or even keep each other accountable. Ask them what show they plan on attending next if you haven’t done so already. A trade show, mastermind group or meeting with like-minded individuals on at least a quarterly basis will inspire you, educate you and keep the momentum going in your business. 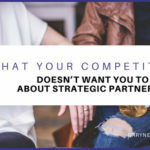 While you are organizing your list of vendors, do a checklist or pros and cons of the product you were offered and also see when the best time to incorporate this into your overall strategy. As you reflect on the time, you spent at the show, realize that the efforts you put in at the show will begin to pay dividends in due time. Well done! Continue to take action, and the results will come.